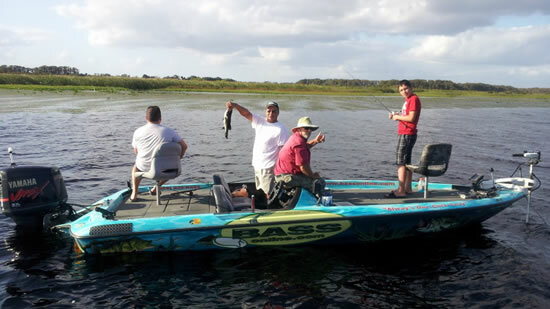 Fishing on Lake Toho is one of Florida’s most famous big bass lakes. Get to enjoy one of Florida’s most precious natural resources all while catching big trophy bass. Were proud of being the leaders in Orlando bass fishing guide services in Central Florida and hope if you’re searching for the excitement of catching trophy bass while visiting Orlando you will give us a call after exploring our website and all the great pictures and options. When planning a vacation to Central Florida area consider taking a guided bass fishing trip with Florida’s largest and most respected fishing guide service. Our guides are full-time bass fishing guides and professional tournament anglers that know how to provide the perfect fishing experience for our customers. Catching trophy bass on Lake Toho and creating memories is what our guide service is consistently achieving daily! Our no fish, no pay guarantee on all Orlando bass fishing trips leaves us consistently at #1, standing alone at the top when it comes to credibility and reliability in the Orlando bass fishing industry. 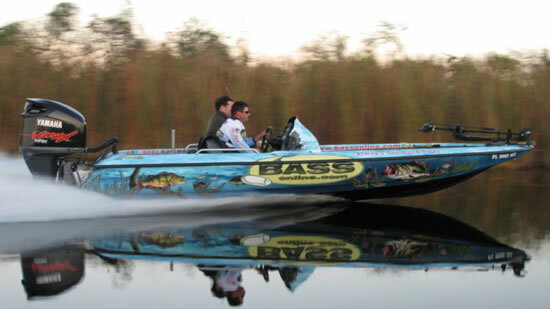 Windermere Chain of lakes is known for its excellent largemouth bass fishing. Most successful bass anglers pay attention to the bottom contours of the lakes offshore structure where 4- to 5-pound bass are commonly produced. Live shiners free-lined over grass edges, humps, ledges, and drop‑offs adjacent to spawning flats is one method to consistently catch quality bass in the winter/spring (Try Lake Butler). Windermere chain also have relatively unknown and unstudied black crappie(speck), bluegill and redear sunfish (shellcracker) populations. Has four interconnected pools or lakes (east, west, middle and south) in the Disney or South Orlando area that are collectively referred to as Lake Conway or the Conway change of lakes. The larger of the lakes, has only two public boat ramps is located off Hoffner Avenue, two blocks east of Orange Avenue (SR 527). Like the Butler Chain, public bank access is, for all practical purposes, non-existent. The chain has nearly 1,800 acres of clear water and hard sand bottom, with beds of peppergrass, eelgrass and hydrilla scattered offshore. Largemouth bass fishing is good in every season, even summer when the bass are often schooling on shad in the open water. One of Conway’s “claims to fame” is its schooling bass. In fact, schooling activity often seems to be best during pre cold front conditions, and summer feeds with 10 to 15mph winds. Schooling bass can be found generally by just watching for surface activity or by watching birds feeding. Most of the schooling will happen in offshore areas, but points with deep water access are also great areas. Jigging spoons, topwater lures, soft jerkbaits and white spinnerbaits are some of the best choices to catch these schooling bass; however, it is important to remain flexible, because as all bass fishing goes, what’s worked today will often be ignored tomorrow. Most all of our ‘Bass’ style boat are single and dual console, Powered by 200, 225 and 250 hp outboard engines – 19′, 20′, 21′ & 22′ in length, fast and comfortable dry ride, Trolling Motor, Anchored by Power-Pole Anchoring System. This boat will provide you with comfort, stable ride, and the ability to fish the lakes and flats! 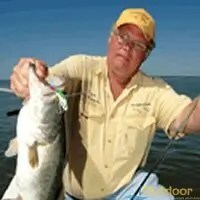 Captain John been fishing Central Florida for over 30 years, consider the legend in Orlando for catching BIG BASS. 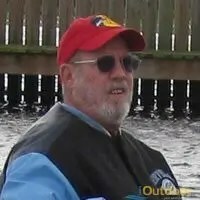 John is the lead Orlando fishing guides, his first Florida bass fishing trip was in 1975 when he moved to Florida as a tackle rep for Outdoor Sports Headquarters. Capt John has had an incredible amount of recognition and accomplishments from all forms of media, TV, ESPN, Field & Stream, Outdoor Channel and others. Capt John has been in many articles published over the last 25 years, he’s been interviewed 9 times in BASSMASTER Magazine over his career. John moved to Orlando/Kissimmee, because of its beauty and its incredible fishing opportunities in the outdoors. Capt Kip started fishing when he was a toddler, both my father and grandfather were avid fishermen and taught him how to fish. His first big catch was at age 7 on West Lake Toho. He caught a 14 lb. 4 oz large mouth bass on a zebco 33 and 10 pound test line, obviously he has never forgotten and from that moment on he fell in love with fishing. He has entered numerous tournaments like Bassmaster’s Series, FLW, Angler’s Choice Team tournament Trail, Red Men Tournament and many others. He is proud of all his trophies which are beautifully displayed in his family room. 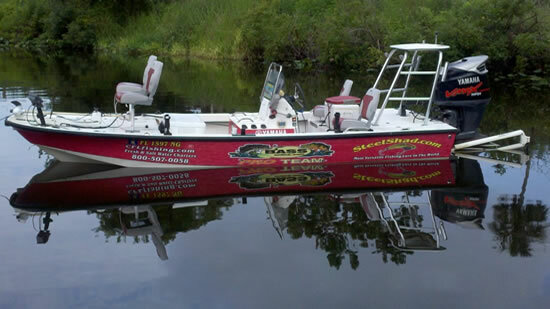 Capt Tony has been fishing the Central Florida (CF) area of lakes for over 15 yrs. His passion for the sport began at an early age, about 2yrs old. His dad and grandfather would take him fishing to many of the lakes here in CF and also much of the inter coastal waterways on the east coast of Florida. 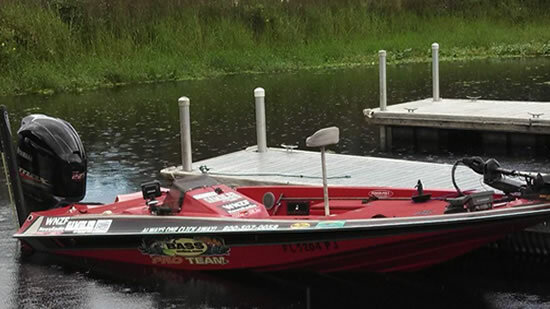 Having fished national level tournaments from South Carolina, to Alabama, and throughout Florida, has given him the ability to adapted to the changing weather patterns and the many different lakes here in Florida. 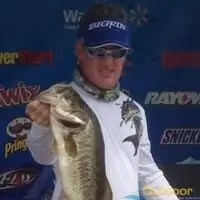 He has also fished in many for the nationally recognized college anglers circuits, fishing in FLW, the Boat US national championships and many University held tournaments. He specialize in topwater and power fishing artificial baits, but also have great success with live bait. He primarily fishes Lake Toho, the Kissimmee chain, the Harris Chain, Butler chain, Johns lake, and the famed, but not forgotten Lake Apopka. Any fish that are caught on your charters and are legal to take belong to you, Florida State law regulates what you can and cannot keep. Everyone on freshwater charters ONLY are required by state law to purchase a temporary fishing licence. $17.00 for 3 days! We will provide the exact address of the lake/boat with your confirmation or upon request, locations are subject to change depending on weather. Due to US Coast Guard regulations most freshwater charter boats are limited to a maximum of four passengers. Many of our boats will only accommodate two or three, this is why its important to let us know at the time of booking so we can get you the biggest boat available. Seasickness is another term for motion sickness and typically manifests itself in the form of fatigue, nausea, and vomiting. In the freshwater charter there is no need to be worry about seasickness as the water is calm.